The National Postdoctoral Association (NPA) Annual Meeting is the nation’s largest conference dedicated to the postdoctoral community. Attendees included postdocs, administrators, faculty, and various representatives from societies, industry and businesses all with the common goal of enhancing postdoctoral training, professional development and advocacy. The meeting provided a unique opportunity to network and discuss best practices and innovative programming ideas with key leaders in the postdoctoral community nationwide, including institutional and regional PDAs in New York, Chicago, Michigan, Texas, the Midwest and California. In addition to networking, participants also attended workshops focused on enhancing postdoctoral training through individual skill and career development as well as workshops focused on support of postdocs at the institutional and national levels. The Tufts Postdoctoral Association (PDA) was fortunate to have several representatives attend and proudly showcase the accomplishments of Tufts University and of the Tufts PDA. Travelling to Cleveland for the 2018 NPA Annual Meeting were co-presidents Sarah Dykstra and Tony Cijsouw, Career Development co-chair and incoming PDA co-president Erin Lewis, and Dan Jay, interim postdoc officer and Dean of the Sackler School. The Tufts PDA, in addition to providing support to Tufts postdocs, also serves as one of 17 institutions involved in the Boston PDA (BPDA). 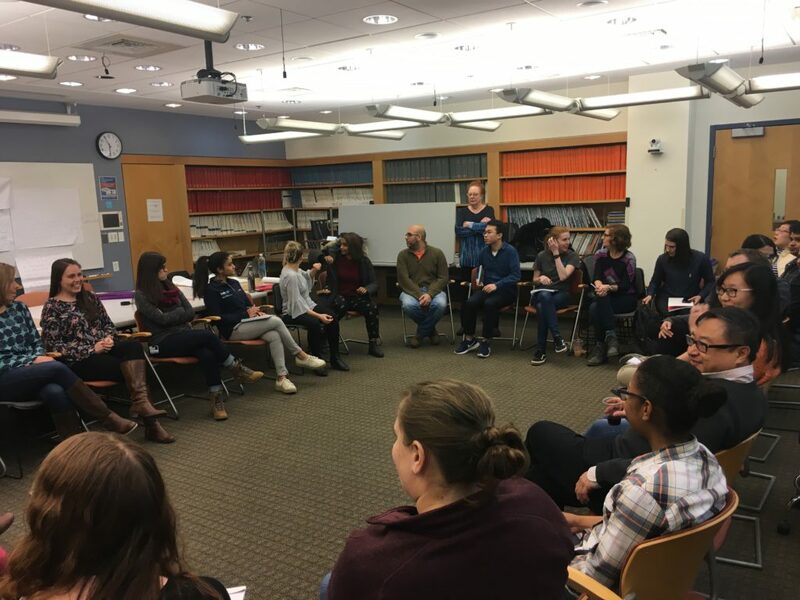 The BPDA’s primary goal is to foster a community and create career and professional development programming for postdocs in the Greater Boston Area. 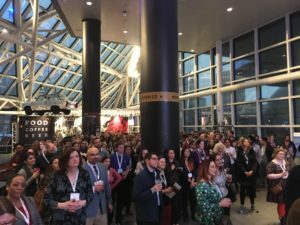 Thus, Tufts PDA representatives wanted to not only encourage other regions with large populations of postdoctoral scholars to share resources and engage in larger networking structures, but also to learn from other PDAs how to enhance programming efforts to best support local postdoctoral scholars. Throughout the meeting, the following topics were highlighted as key pitfalls in postdoctoral training nationwide. The Tufts PDA plans to focus efforts in these areas to improve postdoctoral life and career development. Strong mentorship is a key component to successful postdoctoral training. Conversations focused on how to develop a mutually beneficial relationship between mentors and mentees. Postdoctoral scholars are still in a transition step in their career and rely on mentors who can provide essential support for research, career and professional development. Finding a good mentor can be challenging, but it is often incumbent on the postdoc to find a mentor that adds to their training experience. Rafael Luna from Boston College spoke on his experiences in transitioning from the bench to institutional leadership through mentoring and shared governance in higher education. He mentioned the importance of building relationships, not only with mentors who help the mentee follow a similar path but also with advisors who help the advisee find their unique career path. Lisa Kozlowski from from Thomas Jefferson University presented on multiple approaches to mentoring and their value to trainees. Her proposed mentoring strategies included not only their postdoctoral fellowship, but also non-traditional mentoring strategies such as Thomas Jefferson University’s Mentors in Motion and American Women in Science (AWIS) mentoring circles. Both speakers also referred to the National Research Mentoring Network (NRMN), which provides different mentoring models and resources. Also recommended were resources from Joanne Kamens on mentoring for scientists. On the forefront of issues faced by postdocs are the challenges with benefits and advocating for the needs of postdocs. Last year, the BPDA presented a poster of comprehensive comparison of benefits and salary offered at a multitude of Boston area institutes (The Perks of Being a Postdoc in Boston – Creating Transparency in the Benefits Landscape), and this year in Cleveland we were regularly approached by members of other PDAs who expressed that it inspired them to start similar efforts in their region. Regarding specific benefits, childcare was a topic that was often discussed between sessions, and childcare and spouse and partner support for the postdoctoral community was discussed by presenters of UC Berkeley. UC Berkeley sets an excellent example of family support by providing career and professional development counseling as well as family resources to the partners and spouses of postdocs. As postdoctoral positions can be a substantial time commitment and internationals bring their families with them to the US, it would be great to see other institutes follow this example. The unique challenges faced by international postdocs was a returning theme at the NPA meeting, not surprising as ~50% of postdocs in the US are international. A well attended session on ‘Meeting the Challenge of Being an International Scholar in the U.S.’ discussed funding opportunities for internationals, cultural adjustments, and immigration options.. The latter theme inspired us to publish a comprehensive blogpost on the Green Card and other immigration options at the bostonpostdocs.org website. The NPA also provides an ‘International Postdoc Survival Guide’ on their website. The results of the 2017 NPA survey focusing on workplace sexual harassment among postdocs were presented at the NPA meeting. The numbers were, as in other fields, shocking to hear. Thirty-five percent of respondents reported to be sexually harassed as trainees, and 53% reported to be harassed as graduate students. While the perpetrators are varied, it is clear that the training as a scientist represents a time in which clear power differentials exist and trainees are vulnerable. The NPA also published its ‘2017 NPA Institutional Policy Report’, which generated a lot of discussion. 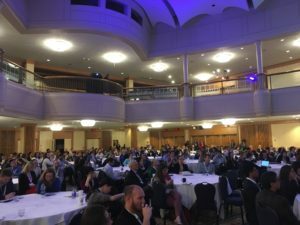 One of their first recommendations was that at the heart of every strong set of institutional postdoc policy and program sits a vital and vibrant postdoc office (PDO) and postdoc association (PDA). 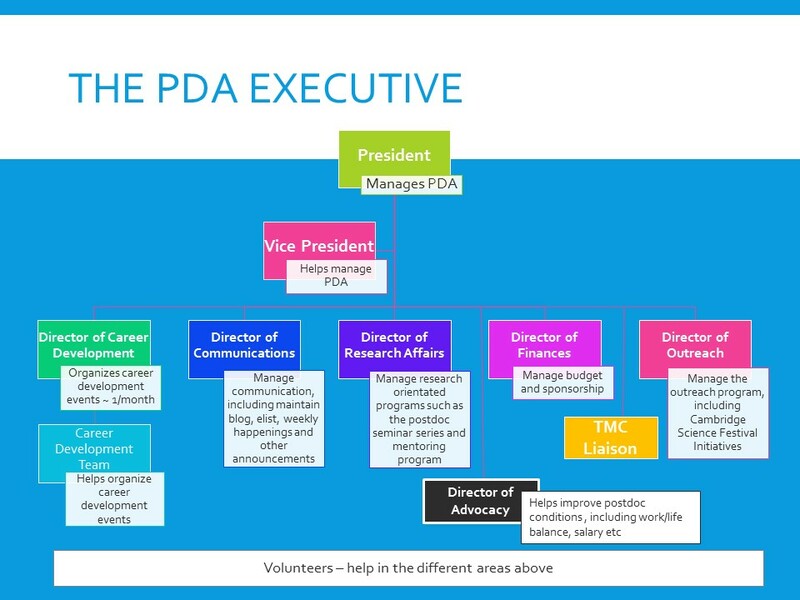 At Tufts, we are fortunate to have both a PDO and a PDA which provide vital support support to the postdoc community. Other major findings from the report were that postdoc-specific policies are essential, that majority of institutions have a minimum stipend for postdocs but do not require annual stipend increases, and that when postdocs are awarded an individual fellowship they often lose access to or receive lesser health insurance. Fortunately, Tufts offers the same healthcare insurance to all postdocs regardless of source of funding. Some remarkable findings were that only 9 percent of institutions report that they track postdocs from disadvantaged backgrounds, and less than half of institutes administer a exit survey mostly because institutes do not know when a postdoc is leaving. 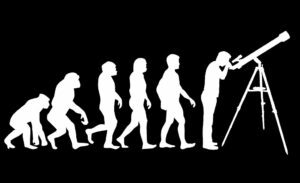 It is obvious that within institutes postdocs need to be better tracked on a variety of fronts. Altogether, the NPA meeting provided a good overview of current challenges and potential solutions facing postdocs, specifically regarding salary and benefits, family resources, and a diverse and safe workplace environment. The Tufts PDA aims to incorporate the lessons learned into the events and advocacy efforts that we will organize in the future. The NPA Meeting was an excellent platform for PDA representatives to meet and discuss program initiatives. Attendees had opportunities to talk about successful programs developed by their PDA or institution’s administration and share strategies for successful event and program planning. Many institutions have created series of events in a similar vein, and packaging related events as a series often appeared to promote better engagement. 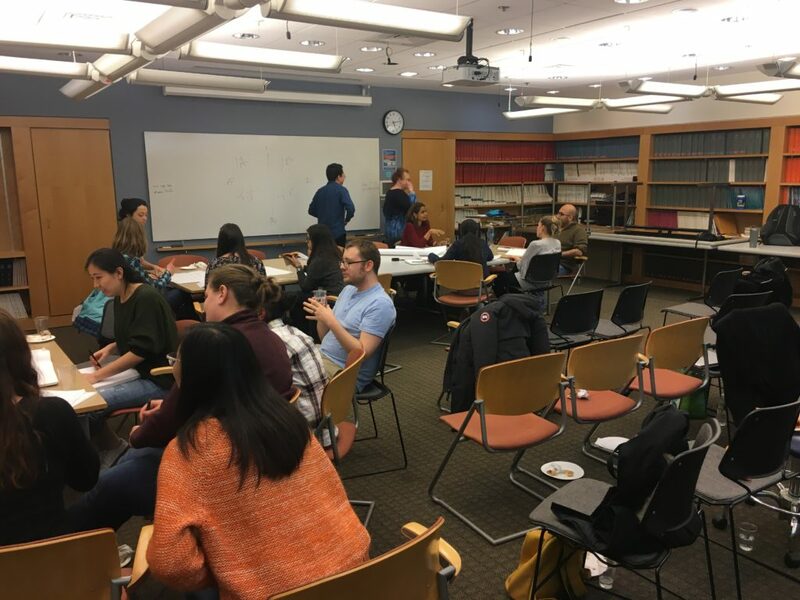 While a large portion of the conversation centered on career development programming, focus was also given to planning social events aimed at increasing the sense of community amongst postdocs. The Gladstone Institute presented a session on their innovative programming for postdocs and graduate students. Their programs focused on larger themes related to career development, such as exploring career opportunities beyond the bench, mentor training, developing technical scientific skills and scientific support. A session led by the Washington University PDA discussed strategies for increasing participation in PDA leadership and events. It was recommended to increase community engagement by creating a presence on social media (Facebook, Twitter) or a blog! Other initiatives centered around increasing visibility within the institution and holding social events such as ice skating to form relationships outside of the lab. It was clear in conversations with other PDAs that although Tufts may be small compared to other institutions, our programming and structure is advanced. 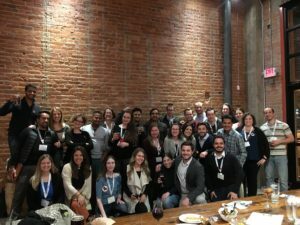 Overall, the NPA Annual Meeting was an invaluable opportunity to meet and network with postdocs, administrators, faculty, and industry representatives across the nation. We are optimistic that by working collaboratively we may address common issues faced by the postdoc community at large, and build strong advocates for postdocs within institutions. Building a community of PDAs, both regionally and nationally, and sharing resources, planning ideas and advocacy efforts is mutually beneficial for the success of individual postdocs, PDAs and the institution. Tufts does its best to support its research scholars, following the guidelines provided by the National Institutes of Health (NIH). Since the NIH published new minimum pay rates for postdoctoral researchers, Tufts is working towards updating the minimum pay rates for postdoctoral scholars and research associates from specific funding vehicles. The NIH updated the minimum for fresh-faced, 0-year of experience postdoctoral scholar from $47,484 to $48,432 (+2.0%) and the annual salary for research associates will be increased from $48,510 to $49,432 (+1.9%). Questions or concerns can be direction to Simin [dot] Meydani [at] tufts [dot] edu or Deborah [dot] Blackie [at] tufts [dot] edu.